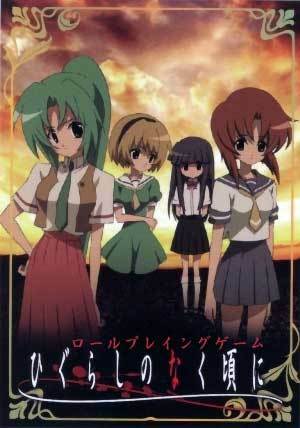 What's your favoriete episode of Higurashi No Naku Koro Ni? Watanagashi-hen is my fave arc so far. I'm around episode 20 right now... Might like the last arcs better. Probley th 4th, It made me cry knowing what was actually going on! Well, I can tell u what my fav. Arc is! It is the "Curse Killing" Arc! Just the erieness of the last ep. With the huge epidemic of the poisoness gas gave me shivers! 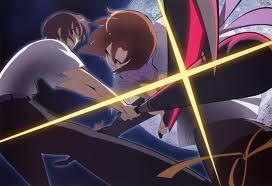 My favoriete episode was actually a series of 6 episodes, that series being Meakishi-hen, of the Eye Opening Chapter. It is my favoriete because of the psychological elements that the other chapters didn't show. And it's also my favoriete because of Meakishi-hen Part 6: Condemnation, of Episode 21 of Season 1.